Our feelings make us who we are, when we suppress our emotions we deny our real selves. When something does not feel right yet we continue on that path due to misconstrued beliefs, family pressure or simply lack of confidence life becomes a pain. We struggle to keep going despite our inner compass pointing to another course. That’s when our subconscious takes over and we end up suffering from pain, either back pain, migraines, or stomach pains. Pain is your body’s alarm system – pay attention, something is not okay, take action. The documentary, All The Rage, explores the connection between emotions and health, it chronicles the work of renowned physician Dr. John Sarno and his radical methods of treating chronic pain, a growing crisis in the modern world. Dr. Sarno, a Professor of Rehabilitation Medicine, New York University School of Medicine, posited that many types of chronic pain, particularly back pain, are caused by stress and repressed emotions. He was one of the first doctors to advocate a more holistic way of treating pain rather than opting for drugs or surgery. He counseled patients to pay attention to their emotions and honor their feelings. And that the connection between their minds and their bodies is very real. Daily life is a constant interaction with people or situations that can be stressful. If we are ill-equipped in dealing with the stresses that we face our body goes into a fight-flight mode, which may be okay for a while. However, in polite society, or in the workplace these behaviors are not acceptable. The only way we can keep our boss happy is to grin and bear with it. Our freeze response gets activated when we feel that there is no way to fight the danger or escape we just have to accept our situation, there’s no hope. When we repress our true feelings, the unconscious mind does not accept this anomaly. This activates the autonomic nervous system (ANS), to sending a signal to our body that all is not okay up here. Pain is the body’s way of making us pay attention to the real problems. Further, if we fail to take corrective action we could end with something more life-threatening. As a sufferer of scoliosis, pain has been a constant in my life. Looking back, I can trace the trajectory of my spinal misalignment. In response to my abuse which I had to emotionally suppress, my ANS sent signals in the form of back pain something is not okay, find a solution. Being a child there was no way to fight or escape from the abuse because it was my father who was the threat. The very person who was supposed to protect me. So, all I could do was repress my feelings, stuff my emotions and freeze into a zombie-like state. But, feelings buried alive never die. My back twisted and signaled to everyone around there is a problem. Unfortunately, there was no one in my life who really understood or cared enough to take some action. 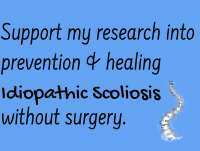 For me, healing scoliosis had to begin with straightening my mind. Getting over the feeling that I don’t matter, that my feelings are not important. Once I accepted and honored the fact, that yes I was right to feel hurt and angry. That my feelings of rage were appropriate. It has taken me quite some time and effort, sound therapy, guided meditation, writing, talking and massage to release the emotions that were stuck in my cellular memory. Emotions are energy and when we suppress our emotions we block the natural processes of our body. 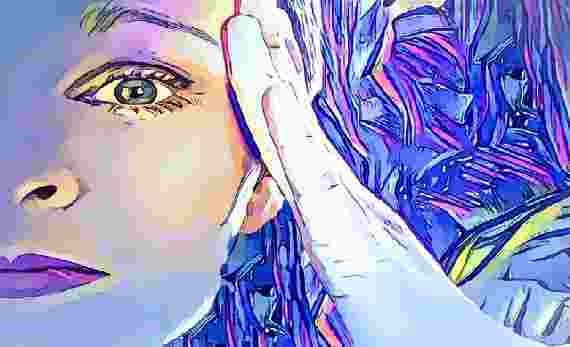 Suppressed emotions affect a person’s entire system – the mind and body. Negative feelings need to be acknowledged, processed and released before our mind-body system can get back to a state of homeostasis. Repressing our feelings, blocking our truth is bad for our physical and emotional wellbeing. Every time you reconnect with your emotions that have been suppressed in your body you take a crucial step in improving your physical and emotional wellbeing. Moreover, when you can address your hidden hurts and emotions, you reestablish your mind-body connection. 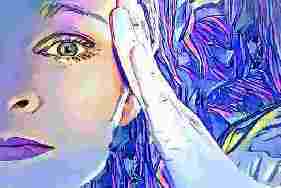 Pain need not be the alarm system to get us to pay attention to our real feelings.